LISTA is a scalable digital solution, a mobile app, proven to build financial capabilities for those living in poverty and vulnerability. With over a quarter million users to date across five countries in Latin America and Africa, this product was designed primarily for newly banked, adult cash transfer recipients living in rural areas (particularly women), though it can also be adapted to various different target groups. In a randomized control trial, LISTA has been proven to enable and empower low-income citizens to manage their scarce resources, increase their savings, and ultimately build assets that smooth consumption, decrease vulnerability and improve well being. Over the past decade, Fundación Capital has been investing in supporting an inclusive finance environment by taking a systems-level approach, working with national governments across 17 countries to encourage asset building at scale for families living in poverty and extreme poverty. Through its initiatives, it has contributed to the design, development, and adoption of national strategies for financial inclusion and financial education, improvements and digitization in cash transfer payment processes, and strengthening customer engagement to achieve not only access to financial products and services, but also the use of sometimes-complex financial products by low-income and vulnerable consumers. The LISTA Initiative was born from the challenge of delivering demand-side interventions at scale. 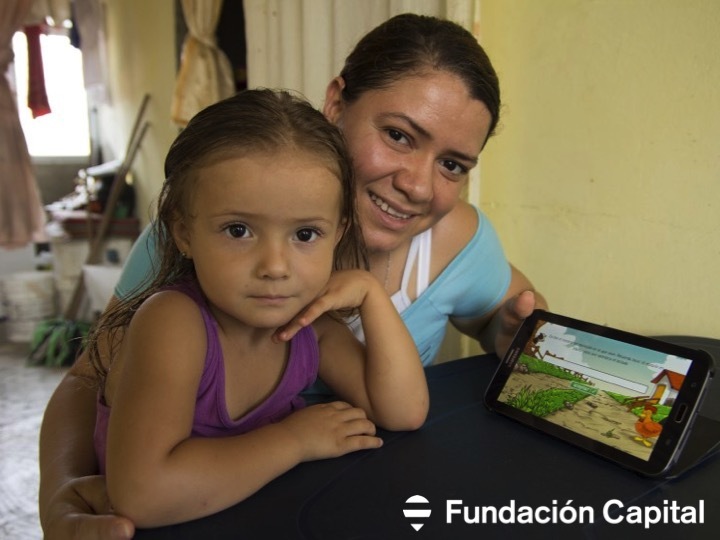 With the aim of facilitating access to information and financial skills, deepening client engagement, and ultimately improving financial habits in a cost-effective and scalable way, Fundación Capital designed LISTA, a mobile app with accompanying distribution methodology designed for low-income and vulnerable individuals. Following a pilot implementation and experimentation phases, this initiative has now been adapted to multiple country contexts, been adopted into public policy by national governments, and is being scaled up to reach at least half a million individual users by the end of 2018. While the product is not readily available for download (as it collects individual user information and is custom-made for specific target users and partners), Fundación Capital is eager to partner with organizations interested in expanding access to the product, those with complementary content, or other potential collaborators and clients.